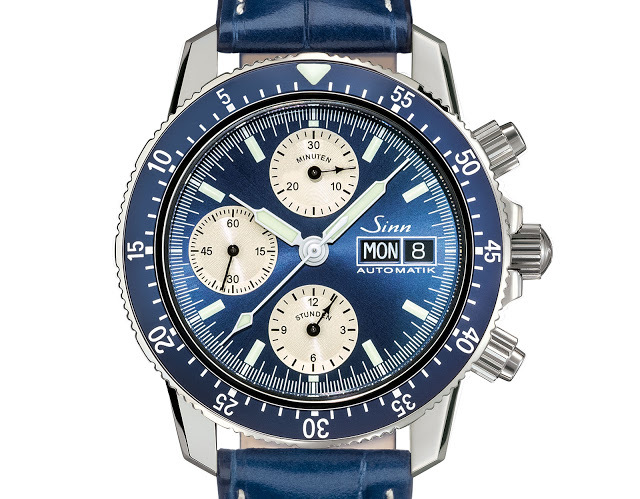 Sinn bestows a metallic blue dial on its classic 103 pilot’s chronograph with the 103 A Sa B limited edition, featuring a steel case equipped with the brand’s patented dehumidifying technology. The quintessential Sinn pilot’s chronograph, the 103 has been in the catalogue since the 1960s when Helmut Sinn founded the company. It’s functional and legibly, typically powered by the ever reliable Valjoux 7750 movement. Keeping the classic look but with the added flourish of an electroplated blue dial, the 103 A Sa B is limited edition of 500 pieces. 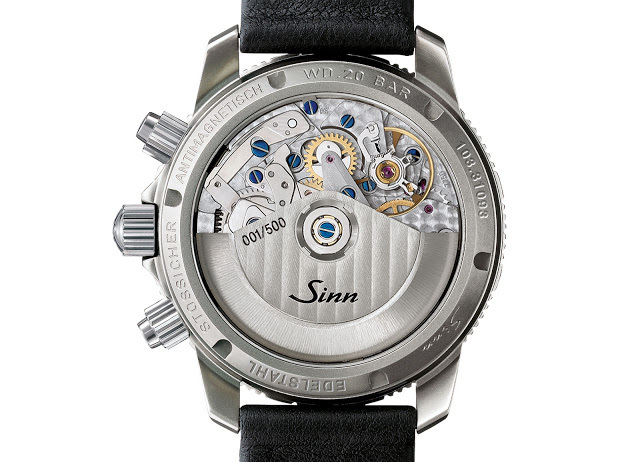 The “A Sa B” suffix in the model name stands for “Automatik Saphir Blau“, which translates as “Automatic Sapphire Blue”, explaining many of its features. Finished with a sunburst brushing and electroplated a metallic blue, the dial has silver counters, a look reminiscent of the discontinued 203 Arktis chronograph designed for Arctic explorers. 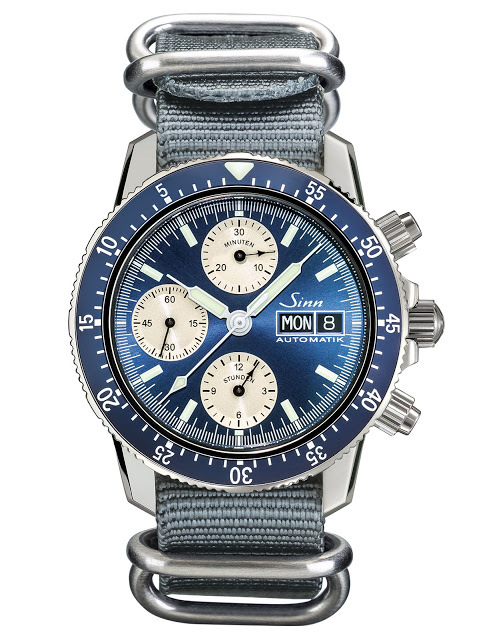 It’s the second Sinn introduced this year with a blue dial, after the T1 and T2 B dive watches. The case is steel, 41mm in diameter with sapphire crystals front and back, and water resistance of 200m. 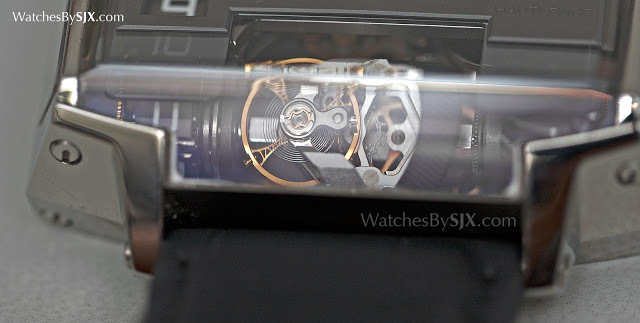 Inside is a Valjoux 7750, visible through the display back, with the individual edition number on the rotor. The case is filled with inert argon gas to keep moisture out, a patented feature calls Ar-Dehumidifying Technology. The 103 A Sa B is presented in a box with both a blue cowhide strap and a grey NATO canvas band. It is priced at US$2230 before taxes, or S$4600 with 7% tax. 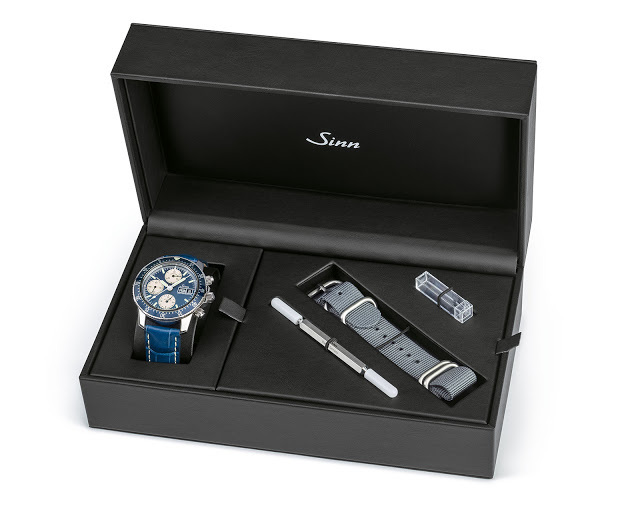 Sinn has created a limited edition version of its signature submarine steel dive watch in grey and tan shades with a black coated Tegiment case, in partnership with its Asian retailer The Hour Glass. 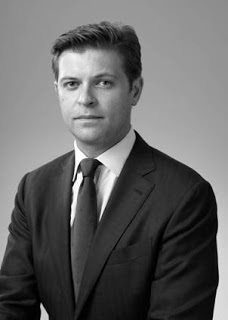 Putting an end to months of speculation, Phillips has just announced Sam Hines will becomes its International Head of Watches, overseeing the auctioneer’s worldwide watch sales. 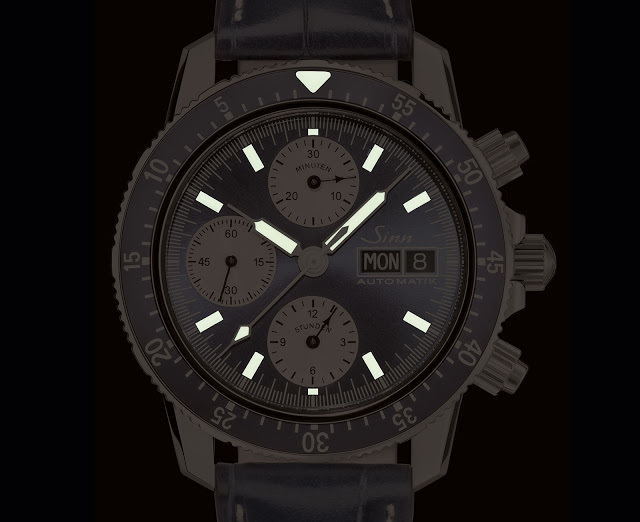 Based in Hong Kong, Hines was formerly International Co-Head of Watches at Christie’s, having succeeded Aurel Bacs. Now Hines and Bacs are reunited, with Bacs as a Senior Consultant at Phillips. At Christie’s Hines was responsible for several recording setting sales, including the US$5.8m hammer for a pair of Singing Bird Pistols, as well as the only Patek Philippe Star Calibre 2000 ever sold at auction, which brought in US$3.5m. 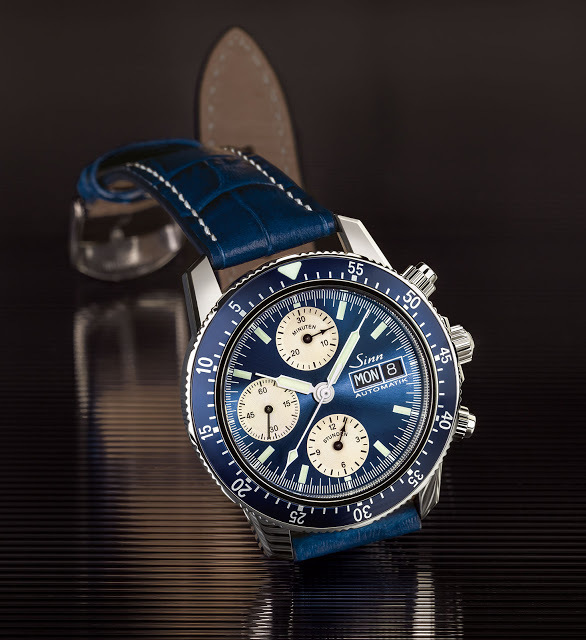 With Phillips having achieved sterling results at its first sale in May 2015 that included the Rolex Day-Date thematic auction, much will be expected for its upcoming sales in Geneva and Hong Kong, as well as the Only Watch charity auction. Featuring jumping hours on a chain linked to a rotating escapement, the Vortex puts the most complicated Hautlence movement inside a newly designed titanium case with sapphire crystals all round. 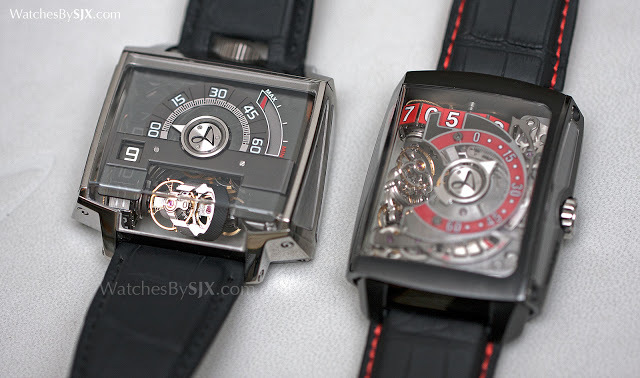 Established to develop new methods of showing the time, Hautlence first launched its flagship movement in the HL2.0 in 2010 (above left). The Vortex is an improvement on that, with a large, angular case that contains the tweaked movement that retains its signature features – a retrograde minutes, jumping hours and a escapement that rotates every hour. Made up of 552 parts – equivalent to the number of parts in grand complication with minute repeater, perpetual calendar and tourbillon – the HLR2.0 movement is a complex beast that looks the part. The minutes are indicated on a semicircle across the dial, with the power reserve indication running from one to three o’clock. 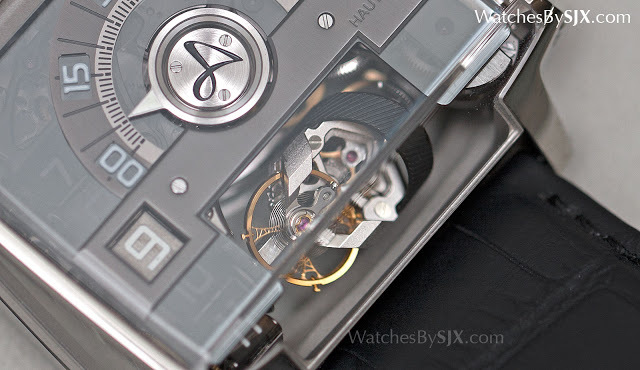 A grey tinted sapphire dial covers most of the front of the movement, but the display back reveals all of it. Once the minute hand hits the “60” mark, it jumps back to “00”. Simultaneously, the hour numeral in the window at nine o’clock jumps. It doesn’t quite jump instantaneously as in traditional jump hour, but moves deliberately and purposefully, with a little bounce at the end. The reason for that is each hour numeral is one link in a chain with that’s visible on the rear of the watch, while the gears that drive it are visible on the left side of the case. The chain in turn is linked to the escapement, visible at six o’clock, that rotates like a spit. Bevel gears translate the lateral motion of the gear train into the vertical motion of the escapement. It turns 60 degrees each time the hour changes, making four complete revolutions every 24 hours. The movement is finished with a dark grey ruthenium coating, with gilded gears exposed through some shrewd open working providing contrast. Unusually for such a movement with a time display that requires significant amounts of power to move, it is self-winding, with a 40-hour power reserve. That’s possible because it has two mainsprings, one dedicated to keeping the time and the other solely to power the movement of the time display. At 52mm wide and 50mm in length, the Vortex is extremely large. Larger in fact than the HL2.0 it succeeds. 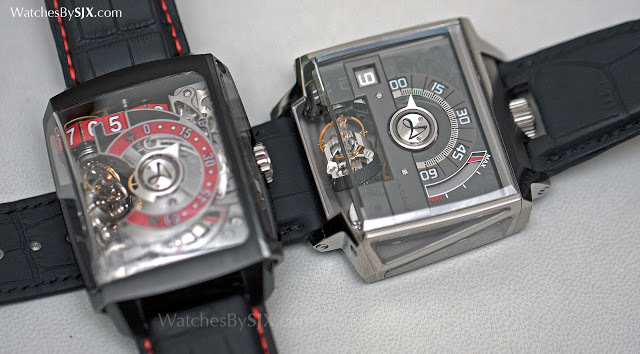 However, because the case is oriented horizontally on the wrist, rather than vertically as in the HL2.0 it wears better. But being titanium it is relatively lightweight. Conceived by Parisian design studio BBDC, whose partners worked with Hautlence co-founder Guillaume Tetu at TAG Heuer, the case is actually a sleeve with openings on the top and bottom. Plates with the lugs are screwed onto each end to close the case. 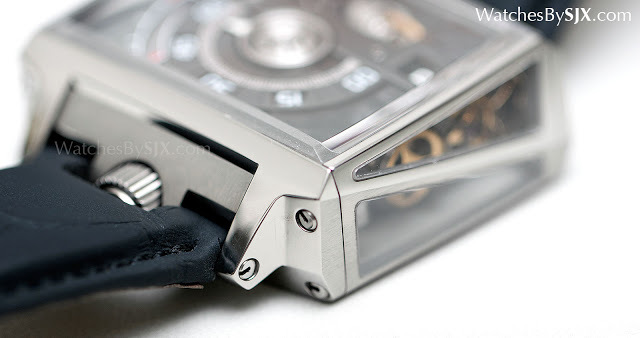 The movement is mounted on the bottom plate, inserted into the case sleeve, then the top plate closes off the top. The angular form of the case is inspired by glass-covered skyscrapers, which is why six crystals cover almost every surface, revealing the movement from almost every angle. Because the crystals are so large, and also angled in front, they are attached to the case via thin film adhesive. Limited to 88 pieces in titanium (with other case metals to come), the Vortex has a price tag of SFr160,000 before taxes. Featuring Hautlence's signature cushion case, the Destination is a dual time zone featuring an elaborately and expensively constructed dial. Launched last year and just about to hit stores, the Destination is the new entry level model in the brand's line-up.